The Pulitzer Prizewinning author of March, Caleb's Crossing, People of the Book, and Year of Wonders, expatriate Australian Geraldine Brooks takes on one of literature's richest and most enigmatic figures, King David. Peeling away the myth to bring David to life in Second Iron Age Israel, Brooks traces the arc of his journey from obscurity to fame, from shepherd to soldier, from hero to traitor, from beloved king to murderous despot, and into his remorseful and diminished dotage. She provides new context for some of the best-known episodes of David's life while also focusing on others that have been neglected. We see David through the eyes of those who love him or fear him, from the prophet Natan, the voice of David's conscience, to his wives Mikhal, Avigail, and Batsheva, and finally to Solomon, the late-born son who redeems his Lear-like old age. 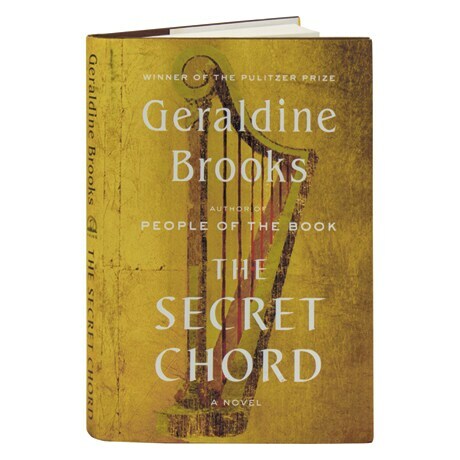 "Brooks is a master at bringing the past alive," wrote Alice Hoffman in the Washington Post. "In her skillful hands the issues of the past echo our own deepest concerns: love and loss, drama and tragedy, chaos and brutality."